Abl1 (phospho-Tyr204) antibody detects endogenous levels of Abl1 only when phosphorylated at tyrosine 204. The antiserum was produced against synthesized phosphopeptide derived from human Abl1 around the phosphorylation site of tyrosine 204 (K-L-YP-V-S). 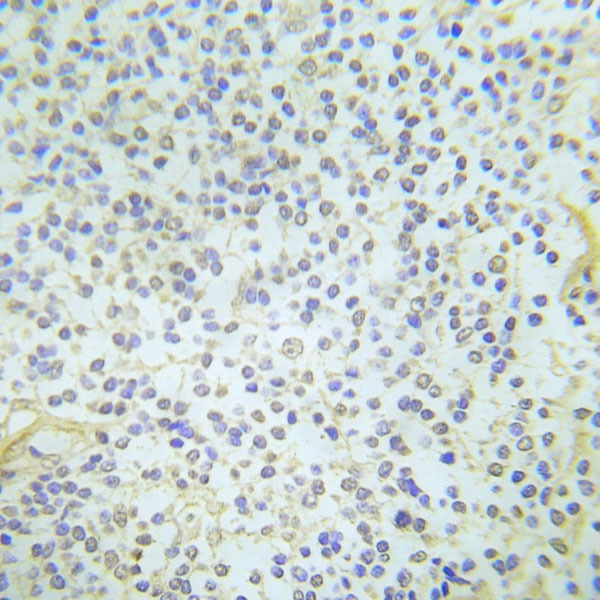 Immunohistochemical analysis of paraffin-embedded human breast carcinoma tissue using Abl1 (Phospho-Tyr204) Antibody.